Metal box approximately 11 x 8 x 2.5cm. 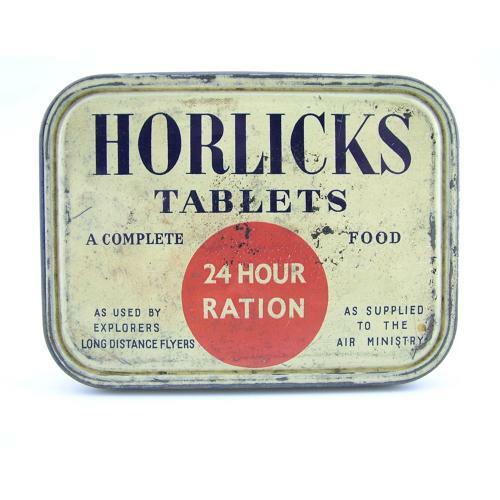 Printed on the lid "Horlicks Tablets - A Complete Food - 24 Hour Ration - As Supplied To The Air Ministry". It is interesting to note that there are at least two versions of this size of tin each with slightly differing text. Shows use and wear but in good overall condition. Empty. Stock code S18852.